Looking to wow your partner this Valentine’s Day or maybe even just treat yourself? When it comes to finding a jewellery buyer that you can trust, WP Diamonds is a prestigious brand that puts the experience of the buyers and sellers first. The brand offers rare coloured diamonds, as well as pre-owned, authenticated and covetable pieces at discounted prices by designer brands such as Tiffany & Co., Cartier, Omega, Van Cleef & Arpels and much more. A leading buyer of diamonds, jewellery and watches with headquarters in the United States and the United Kingdom, WP Diamonds has expanded to Asia, opening its first office in Hong Kong. Conveniently located on 6 Duddell Street, Suite 604 in Central, personalised appointments are now available with their experts to sell your luxury jewellery and watches. To celebrate its newest outpost, WP Diamonds is now inviting Hong Kong buyers to browse and shop an impressive range of discounted, luxurious pieces at its exclusive Pre-Valentine’s Day event. For those unable to attend the event, WP Diamonds has also recently launched an ecommerce platform, Gemma by WP Diamonds, a one-stop shop for pre-owned designer jewellery and luxury watches that have all been authenticated by top-notch gemologists and watch experts. Standout pieces recently sold online include a Panthère de Cartier ring, a Cartier Trinity bracelet and a Tiffany & Co. 3.28ct diamond ring. What sets WP Diamonds apart from its competitors? 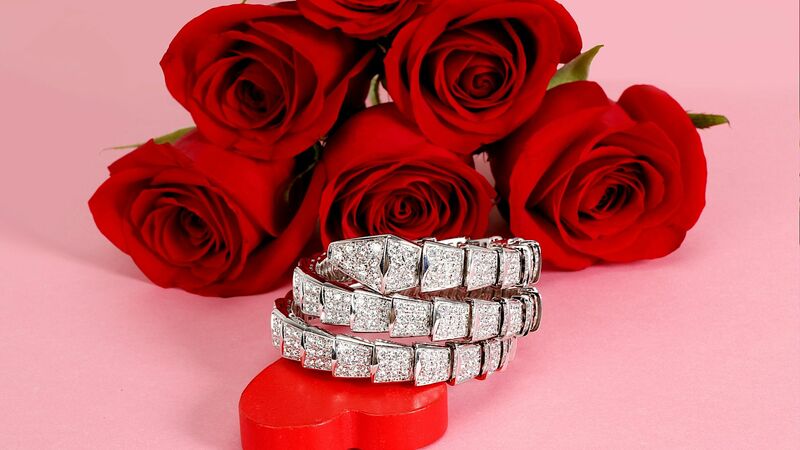 WP Diamonds is an international buyer of diamonds, jewellery and luxury watches. With offices in the US, UK and Hong Kong and a team of GIA trained gemologists and watch experts, our global reach and industry expertise enables us to identify, authenticate and offer great prices on a wide range of items. Most importantly, unlike many buyers of consumer owned items, WP Diamonds sells the vast majority of its jewellery and watches directly back to the public. Unlike many of our competitors, who sell back to the trade (who then mark up the pieces and then sell on to the public), we cut out that middleman and, thus, can offer stronger prices on many items. Unlike selling at an auction or pawnbrokers, our no cost, discreet service allows you to sell quickly online or in person. There are no hidden costs or fees deducted from your final offer and we provide honest price quotes. We pride ourselves on offering a safe, professional and reputable selling solution with unparalleled customer service. What features determine the price of a pre-owned piece? Brand: Certain brands retain their value more than others. For example, Rolex watches and many Cartier pieces will always perform well on the second-hand market. Box and papers: Having the original box and papers that came with the piece (in good condition) will add value. This is because it further helps authenticate your items. The original receipt also helps. Condition: Chipped diamonds, water damage to a watch or other major damage will impact value. We refurbish the jewellery that we purchase in order to resell in excellent condition, so damage and cost to refurbish is factored into the price. Market demand: Our experts analyse the second-hand market in order to determine market demand for specific items and calculate a price. Styling: Is the piece desirable currently? Is it a heavy piece while demand is for light and dainty? Is the center stone a marquise cut, while oval or cushion is the trend for fancies these days? Diamonds: Diamond grading is complex but at its core there are 4 main factors for determining price. These are the 4 C's: carat weight, colour grade, clarity grade and cut grade. Fluorescence is also key. What are your top tips for selling jewellery? 1. Gather the jewellery and watches you wish to sell. 2. Find as much of the original packaging and paperwork as you can. 4. It pays to work with the experts. Selling jewellery can sometimes feel like a daunting task, so it helps to work with a company that has in depth knowledge of the second-hand diamond and designer jewellery market.